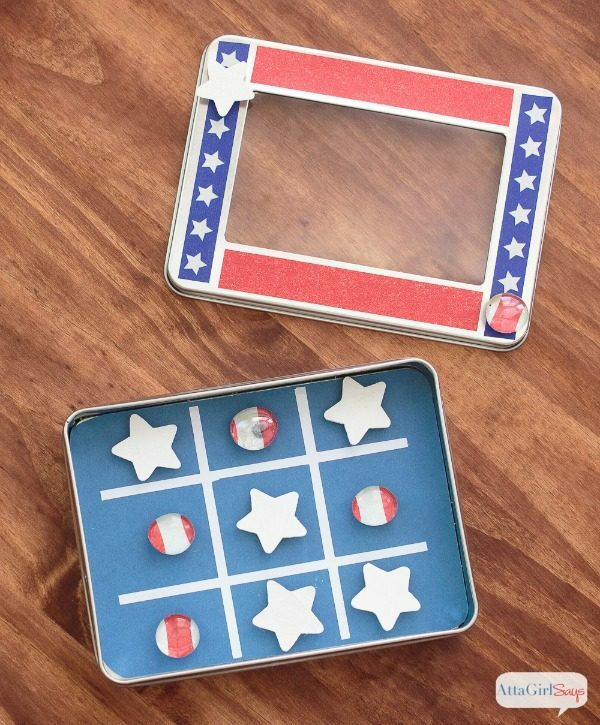 If you’re taking any road trips with the kiddos this summer, then this Patriotic Magnetic Travel Tic Tac Toe Game or this Travel Bingo Printable will keep everyone happy! Having a few easy car games ready to go are great for keeping everyone happy! 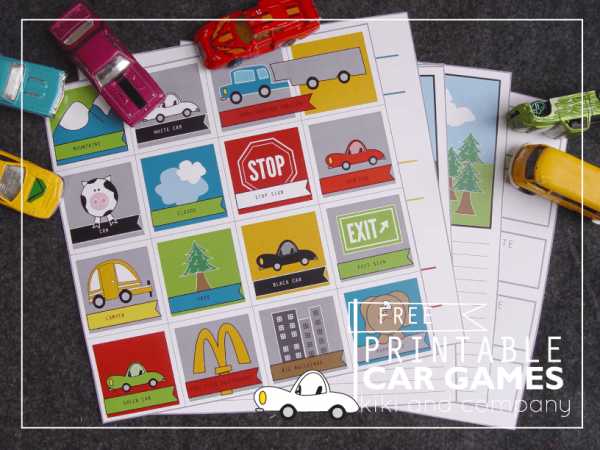 Travel car games are also a great way to cut down on screen time too! 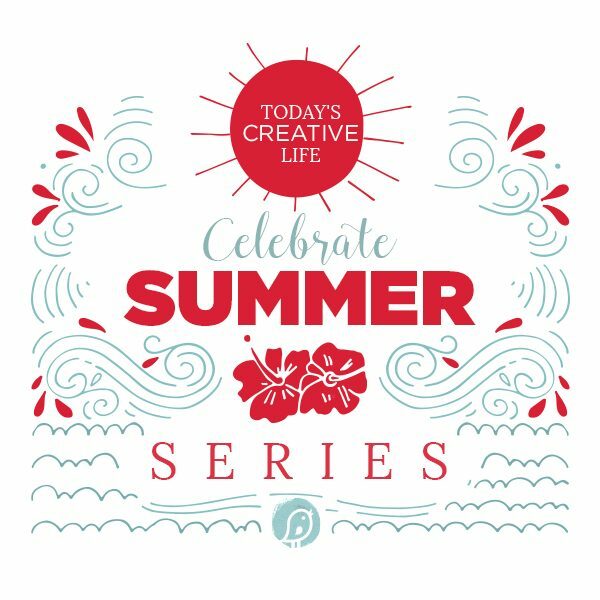 See more Celebrate Summer Series ideas! Can I play with your phone? Mom, I just spilled my Legos all over the backseat. 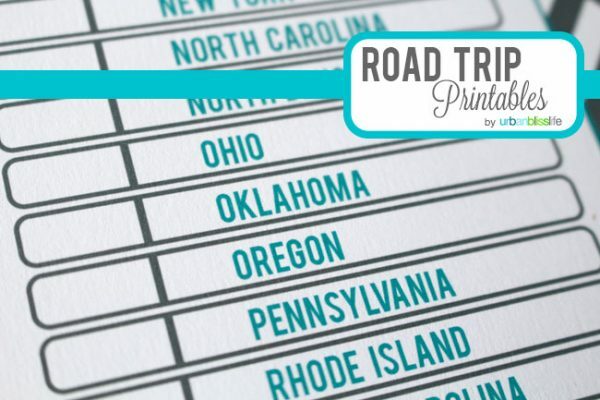 I love a summer road trip, but keeping kids entertained over a long car ride can be a challenge. 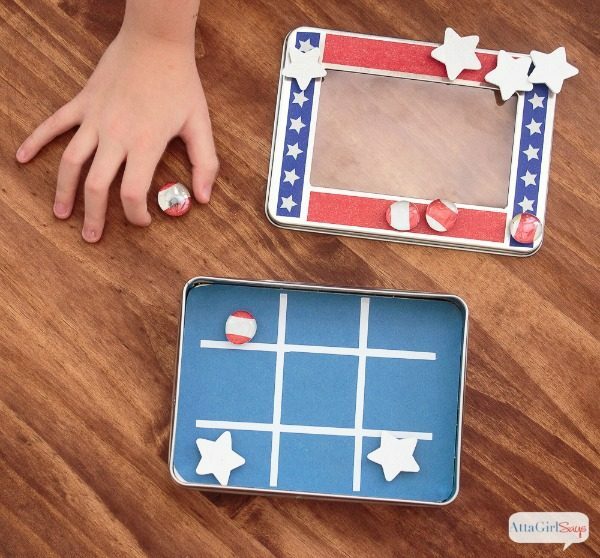 This DIY Magnetic Travel Tic Tac Toe Game will keep them occupied for a little while. Plus, it’s magnetic, so the pieces won’t spill all over the backseat of your car. Because it’s portable and self-contained, this game is great to take along anywhere you might have to wait, like the doctor’s office. Any kind of small metal box will work, as long as it’s magnetic. Check the craft store or the hardware store or yard sales. 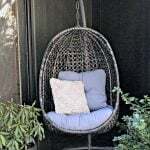 Or better yet, repurpose something you already have. The box I used once held computer thumb drives. 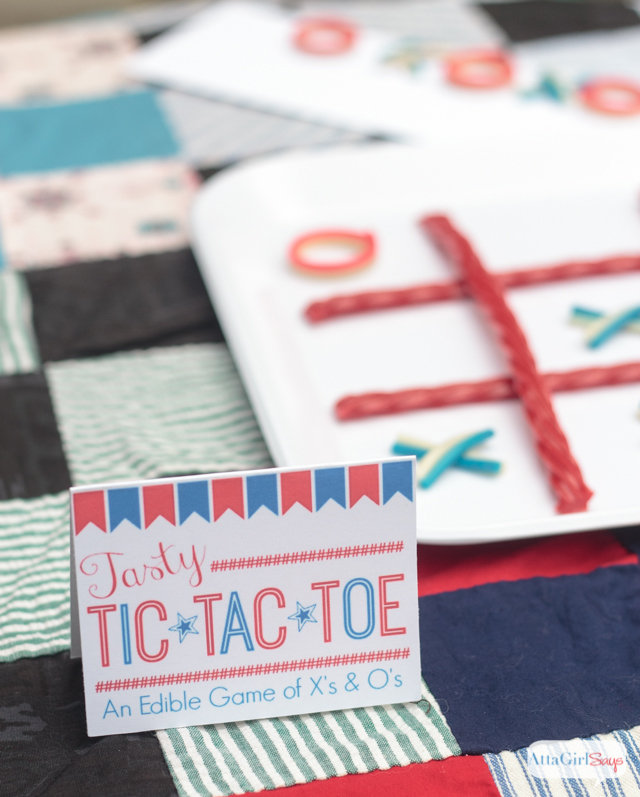 Cut a piece of blue cardstock to fit inside your box to serve as your tic tac toe board. Draw on the tic tac toe grid with a marker. Or use washi tape or adhesive vinyl to mark your playing area. 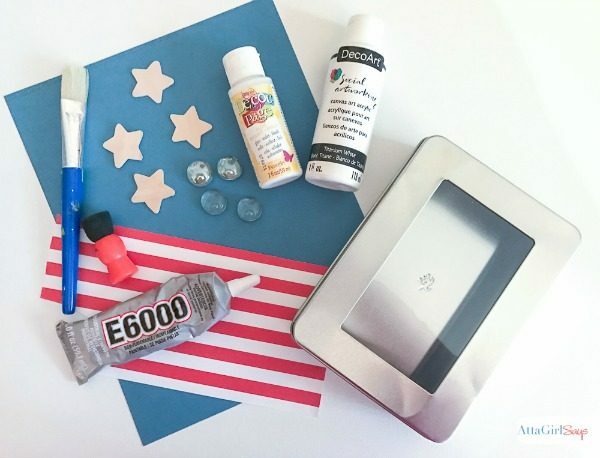 Use double-stick tape to secure the cardstock into the metal box. 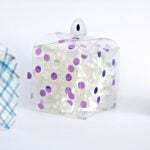 To make the other playing pieces, apply a thin layer of decoupage glue to the backs of six flat marbles. 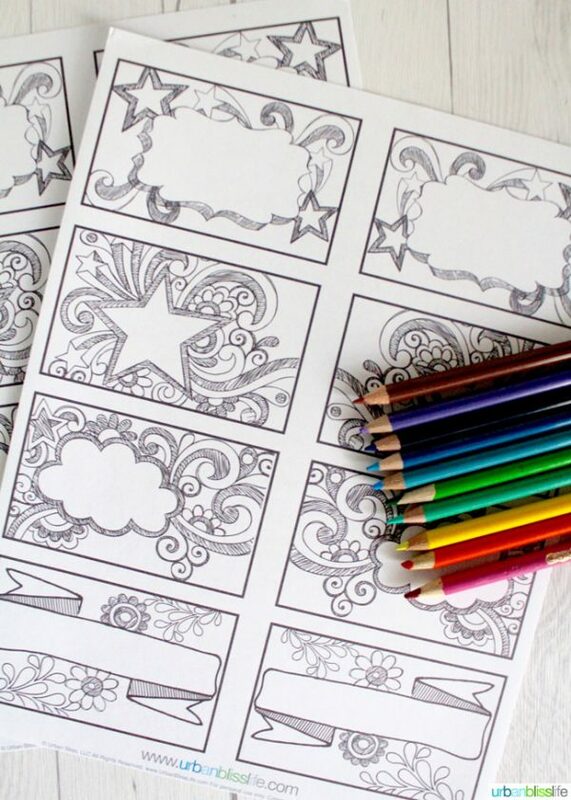 Glue onto patterned scrapbook paper. I used a red-and-white striped paper to fit with the July 4th theme of my game. 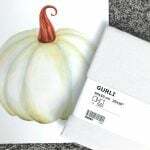 Allow the decoupage glue to dry and then trim away the excess scrapbook paper. 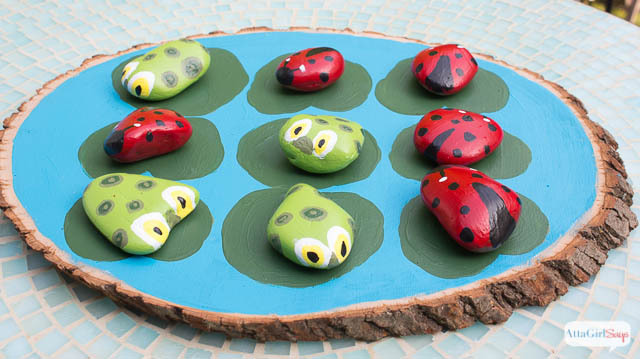 Apply another layer of decoupage glue to the flat side of the marbles, on top of the paper, to seal. 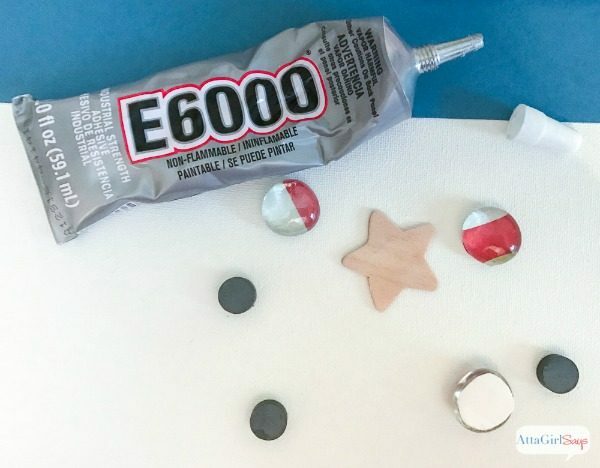 Once the paint has dried on the stars and the decoupage glue has dried completely on the marbles, glue miniature magnets on the back of each playing piece. During this step, make sure you space the magnets and playing pieces an inch or so away from one another. Though the magnets are small, they’re powerful. If you get two magnets too close together, they’ll attract one another and pop right off the playing pieces. For this reason, you must use a strong glue, like, E6000, to ensure that the magnets stick to the playing pieces . 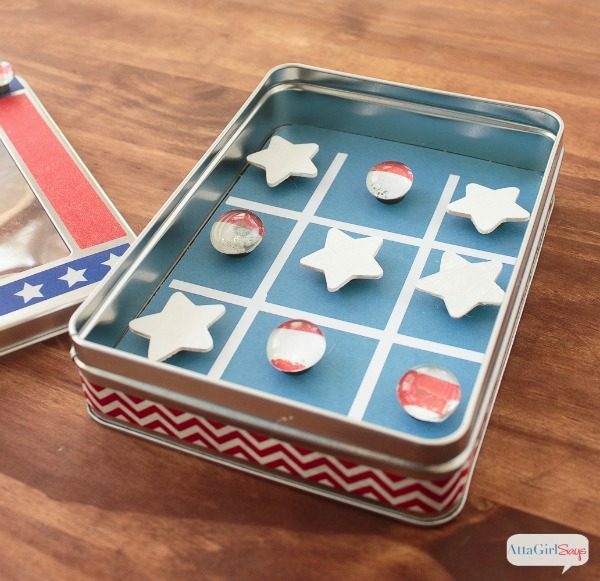 (If you use hot glue, the magnets may pull off the playing pieces, even after the glue has dried.) 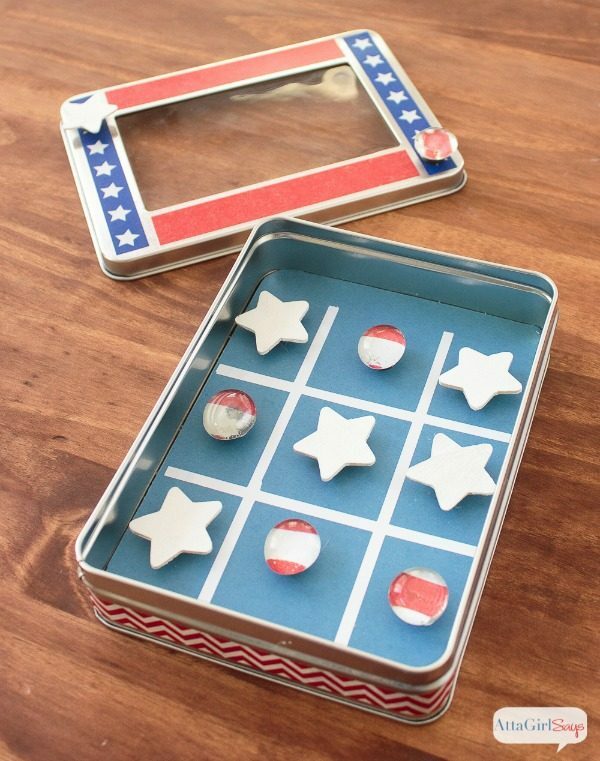 Be sure to let the glue dry completely before playing the tic tac toe game. If you like, decorate the outside of the metal box with washi tape. 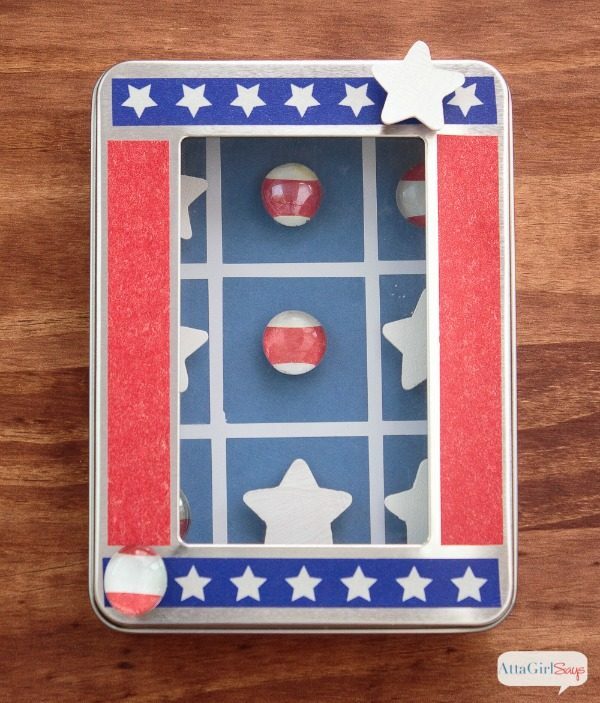 For my patriotic game, I used red, white and blue patterned washi tape. The star washi provides a great way to keep track of how many games each player has won. You could also put number stickers on top of the box for scorekeeping. If you have small children, please supervise them when they’re playing with the travel tic tac toe game. 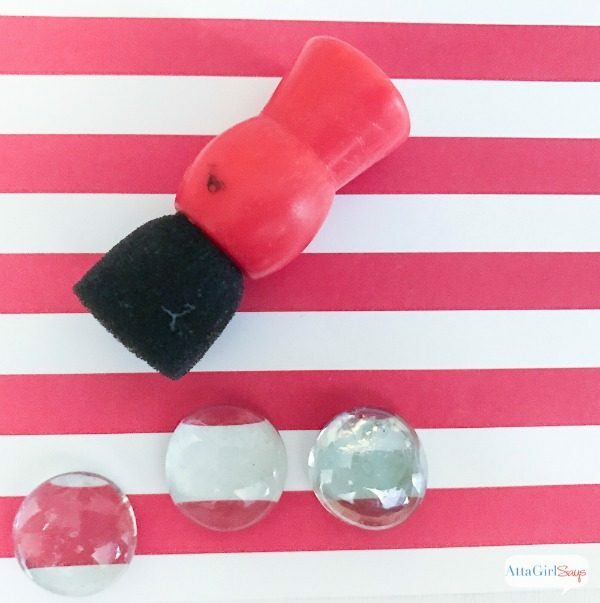 Magnets and marbles can present a choking hazard, and magnets can be dangerous if swallowed.